Be it in celebrity tournaments, casinos, online sites or on the team airplane, many Canadian sports stars know their poker. Here's the top 5 who've been outed as poker players. Gino Odjick is a Vancouver Canuck legend for the time he spent as an enforcer for Pavel Bure. He made the list because he has been seen on numerous occasions enjoying playing poker at various casino's in Vancouver. He is always very friendly with his fans and has busted me out of tourney's at the River Rock before. I know he has some game! Originally from Maniwaki, Quebec, this former NHL'er has always been a tough competitor. Another Canadian hockey legend. Notice a theme here? Hockey players enjoy poker! Vincent won a cup with Montreal and is another pro on the roster at the Playground Poker Club in Montreal. 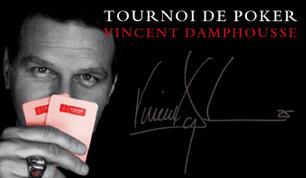 Damphousse has also ran several charity poker tournaments through the years. This Montreal native is no stranger to success. Robitaille is one the highest scoring left wingers in history and a an eight time all-star. Robitaille is one of the few sports stars to host his own poker tournament and is an all around great guy because of it. I should mention it isn't a one off, these charity tournaments have been a regular event for years. For those interested his charity is called 'Echos of Hope' and helps at risk youth. Justin Morneau is another athlete from B.C. on the list. Born in New Westminster, this first baseman has been playing for the Minnesota Twins with an ALMVP trophy in his cabinet. Morneau is also a poker player. He hosts a charity casino and poker night in conjunction with the Arthritis Foundation. The next event is right around the corner, June 2nd 2013. Roberto Loungo is one of the best goalies of his era. He is also one of the more entertaining sports stars in the world when it comes to playing with the spotlight (follow him on Twitter). Most importantly, he likes poker. He is sponsored by BC's playnow.com government poker site and is rumored to play the PokerStars Sunday Million whenever he can. 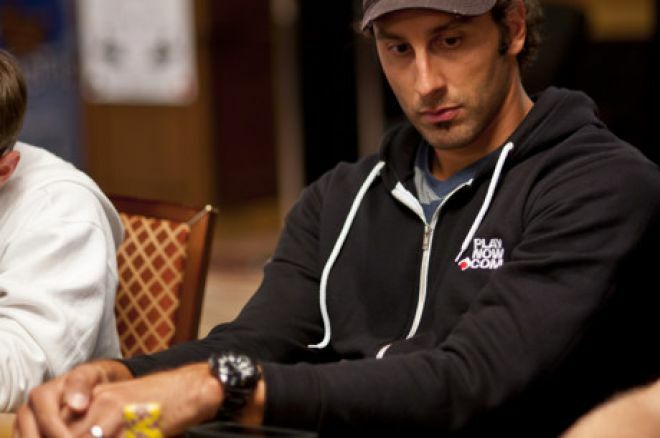 Loungo cashed in the WSOP 2012 Main Event, placing 634th place out of 6,598 entrants. He also has done one of the most awkward interviews we have ever had on PokerNews, enjoy!